Next, tell the children that you’ll be reading a story about an animal that lives in the water and you’ll be asking them to listen as you read so you can list the animals that HE ate and the animals that tried to eat HIM. As you read the story, let the children call out when they hear animals for the 2 lists and make the lists as you go along. Use another piece of chart paper. 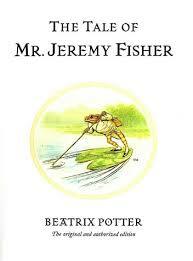 Read The Tale of Mr. Jeremy Fisher by Beatrix Potter. Use your lists to make a food chain on a 3rd piece of chart paper, with the tiniest prey at the bottom and the biggest predators at the top. Then talk about how even the fiercest predator wouldn’t be able to survive without water. It is their habitat. Water seems like such a simple thing but we all depend on it! Frogs are vulnerable to other threats besides being eaten. Water pollution is especially damaging to frogs. Do experiments 1 and 2 from “Frogs Tell Us Our Environment is Healthy”. Because salamanders, like frogs, are amphibians who also lay soft jelly-like eggs in water and have moist permeable skin, they are bio-indicators. Flag Ponds has a program where volunteers catch and count the number of salamanders each year. If the salamander population goes down, what might that indicate? If there is extra time, have students do the Frog Pose (pp.18-19) and Fish Pose (pp.36-37) from Like a Fish in Water: Yoga for Children by Isabelle Koch. Before students come in today, fill an ice cube tray with water combined with food coloring and stick it in the freezer for later. Today’s focus will be on the fact that, since water is important for all life, that means us too! Begin by reading The Legend of the Bluebonnet by Tomie de Paola. Ask students to list (again, use chart paper to record their suggestions) ways in which humans rely on water. Don’t forget to include the fact that we are at the top of the food chain; as predators, we need each of the plants and animals below us to survive or we’ll have nothing to eat. As they need water, so too do we need water. And remind the students that we need water to be clean so that the plants and animals we rely on don’t get sick. Do the activity from “Hold Water Upside Down!” (pp. 32-33 of Show Me How I Can Experiment (Show Me How I Can) by Steve Parker). This is a very wet, very messy experiment so do it over a large plastic bin! Make sure you have plenty of the thick, smooth, shiny, flat cardstock so that each child can have a turn. Read My Great Grandmother's Gourd by Cristina Kessler. What lesson did the people of the town learn? What modern conveniences do we have that you take for granted? What would you do if they were suddenly gone? Depending on how much time the students took on the preceding science experiment, you may have time to do both the science experiment and the art project below OR you may choose to do just one. Talk about the water cycle (water on the ground evaporates up into the sky when warmed by the sun, as clouds grow heavier and heavier with water it begins to fall as rain, some rain soaks in the ground while some moves to rivers, ponds, etc. 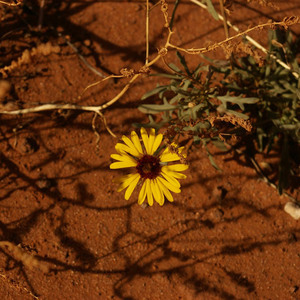 where it is then warmed by the sun and evaporates again). Use a piece of chart paper to diagram it. Then ask students if they have watched ice (solid form of water) melt (turning to liquid form) and evaporate as steam (turning to gas form). Most students should have already seen this before. Now ask them to try a science experiment with you. If you make ice cubes with color in them – which you did this morning – and put the ice cubes in a pan and turn on the heat under it, will the color go up into the air when the water turns to steam or will the color stay in the pan? Ask students to make a prediction, then go to the kitchen area to try it out! While waiting for the field trip, read The Drop in My Drink: The Story of Water on Our Planet by Meredith Hooper. Then have the children each decorate a sheet of construction paper to be the cover of their field trip journals. They have two choices. One option is to look at a glass of water and think about all the places that those drops of water have been, then draw a picture. The other choice is to illustrate a word for water in the shape of the first letter of that word (for example, to illustrate “R is for River”, have the river make the shape of the letter R – see below). Some more examples are S is for Stream and W is for Wave. You can even get the whole class in on the idea of creating a Water ABCs where you think of a “water word” for each letter of the alphabet!